Update: Please be aware of Chase's new terms for the availability of Sapphire-family credit cards. 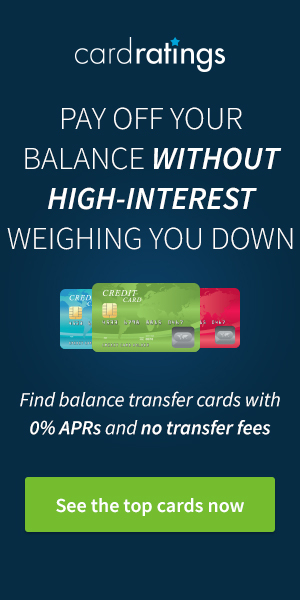 The Chase Sapphire Preferred® Card has long been the go-to credit card for a lot of travelers. Not just because it earns valuable Ultimate Rewards points, but due to the fantastic (and for a lot of cardholders, yet undiscovered) perks like Primary Rental Insurance and Trip Cancellation/Interruption Insurance included as benefits for cardholders. These benefits will often provide more value in the long run than the initial signup bonus, and if you travel often, they more than offset the annual fee. Combined with cards like the Chase Freedom Unlimited® and the Ink Business Preferred℠ Credit Card, Chase’s stable of Ultimate Rewards earning cards provides members with a sophisticated combination of points earning options, perks, and redemptions. But Chase has also been lacking a premium card like the Citi Prestige® Card or The Platinum Card® from American Express that offer higher points earning potential and global airport lounge access. Well, that all changed with the recent introduction of the Chase Sapphire Reserve®. Since the applications went live, the Sapphire Reserve has garnered a huge following in the points and miles community. And it’s no wonder. The card offers a lucrative signup bonus, an industry-leading travel credit, and earns a huge 3x Ultimate Rewards points on travel and dining. We posted an initial review outlining some of the highlights of the Sapphire Reserve and wanted to follow up by diving deeper into the benefits of the card, comparing them with those of the Sapphire Preferred. While the Sapphire Preferred is a Visa Signature, Chase has upgraded the Sapphire Reserve to Visa Infinite with some added benefits, making the Sapphire Reserve one of only a handful of Visa Infinite cards available in the U.S. The others being The Ritz-Carlton Rewards® Credit Card (also issued by Chase), and the Crystal® Visa Infinite® Credit Card from City National Bank. In this post, we’ll be calling specific attention to the PDF guides in the links below, what the differences are, and where there is added value. We won’t be digging into benefits like the Priority Pass lounge access or the $300 travel credit as each warrant their own dedicated post, but rather just the benefits outlined in the two guides. Both cards feature primary rental insurance, a step up from the secondary insurance that is a benefit of most credit cards. The Auto Rental CDW benefit “provides reimbursement for damage due to collision or theft,” and as a primary coverage, there is no need to file a claim with any other insurance provider before the coverage kicks in. The wording for both policies is almost identical except the definitions below. Sapphire Preferred – the actual cash value of the vehicle as it was originally manufactured. Most private passenger automobiles, minivans, and sport utility vehicles are eligible for coverage, but some restrictions may apply. Sapphire Reserve – $75,000.00. Most private passenger automobiles, minivans, and sport utility vehicles are eligible for coverage, but some restrictions may apply. For a more in-depth understanding, see our post on the Sapphire Preferred's Auto Rental CDW. While the Sapphire Reserve does have a hard cap on the reimbursement limit, we'd venture to guess that any car included in the coverage with the Sapphire Preferred would be under that $75,000 threshold as well. If you're renting something exotic, you might want to double-check your coverage. Purchase Protection covers eligible items bought in the United States using your Account or rewards points earned on your Account, in the event of theft, damage or involuntary and accidental parting with property within one hundred and twenty (120) days. The Sapphire Reserve has a much higher per-claim value than the Sapphire Preferred, but with the same cap of $50,000 per year. Extended Warranty Protection extends the period of the manufacturer’s U.S. repair warranty on items purchased with your account by one additional year on eligible warranties of 3 years or less, up to a maximum of $10,000.00 per claim, and a $50,000.00 maximum per Account. There is an extensive list of exclusions which can be found on both benefits guides. This benefit is identical for both cards. Trip Cancellation Insurance and Trip Interruption Insurance are similar with one major difference. Trip Cancellation covers you BEFORE you leave, and Trip Interruption covers you from the moment you start traveling. Both cards cover you and immediate family members when a Covered Loss either interrupts travel, or prevents you from traveling, and results in the cancellation of travel arrangements for a Covered Trip. The coverage will reimburse you up to $10,000 for each Covered Trip per person. Tip: Immediate family members are covered if travel is charged to the Sapphire cards, even if the primary account holder is not present. Again, the definitions are extensive and near identical. For a better understanding head over to our guide on the Sapphire Card Trip Cancellation and Trip Interruption Insurance. Price Protection will reimburse the difference in price on eligible items purchased in the U.S. using your Account, or using the rewards points earned on that Account. If you find a printed advertisement in a physical store or an online ad (from non-auction sites) for less than the purchase price within 90 days of buying, you are eligible to apply for this coverage. Price Protection has been dropped from these cards as of August 26, 2018. For more details, see this post. If you’re unhappy with an item purchased entirely using your Sapphire Reserve or points earned on the card, and the merchant won’t accept the return, Return Protection will reimburse you for the cost of the item within 90 days of the purchase date. Claims are limited to $500 per item, up to a maximum $1,000 per year per account. Coverage is secondary to any store guarantees, and the Benefits Administrator must receive the purchase in like-new/good working condition. While this benefit still features on the Sapphire Reserve, Return Protection was dropped from the Sapphire Preferred benefits as of August 26, 2018. For more details, see this post. The Lost Luggage benefit will reimburse the cost of repairing or replacing Checked Baggage and Carry-On Baggage, and personal property contained within due to physical loss or damage when it occurs on a Common Carrier Covered Trip. If losing your bag is one of the stress points when traveling, read our latest post on smart and trackable luggage. Note: Liability is limited to the actual cash value of items (replacement cost less depreciation) at the time of loss up to the maximum benefit amount. Loss or damage must be reported to the carrier as soon as you exit the carrier to be eligible for this benefit. Proof of a submitted report will be required. Trip Delay Reimbursement will cover any ‘reasonable' expenses. The only area where the two policies differ is the amount of time you must be delayed for the coverage to take effect. Costs will be covered up to a maximum of $500.00 for each purchased ticket, on a one-time basis if a covered hazard delays your trip. Note: There is no coverage for delays made public or known to you before departure. There are a number of documents that need to be submitted for this policy so be sure to read this section of the benefits guide before making a claim and keep all your receipts. If your baggage is delayed by more than 6 hours, Baggage Delay covers you and your immediate family members up to $100.00 per day for a maximum of 5 days. The cover is limited to emergency purchases of essential items including clothing, toiletries, and one phone charger per claim. Again, the list of items not included is extensive so be sure to read the guides. This plan covers you for accidental death, dismemberment, and loss of speech, sight, and hearing benefits, 24/7, while traveling on any motorized land, water or air transport, operated by an organization licensed to carry passengers, as long as a portion of the cost of the trip is purchased using your account. While both cards have a 24 hour Loss of Life Benefit amount of $100,000.00, however, the Common Carrier Loss of Life Benefit amount differs. The Travel Accident Insurance is one of the more complex and hardest to understand policies in the benefits guides and requires a thorough reading to grasp the details. Your best bet is to review the policy with a licensed insurance professional. This benefit is exclusive to the Sapphire Reserve and provides “emergency evacuation and transportation if you are injured or become ill during your trip, and it results in a necessary emergency evacuation.” The Benefits Administrator must make all the medical travel arrangements. Coverage of up to $100,000 is provided when you charge a portion of your trip to your account and the trip is between 5-60 days and a minimum 100 miles from home. Note: Evacuation must be pre-approved by the Benefits Administrator in consultation with a legally licensed Physician who certified that emergency evacuation is warranted due to the severity of the injury or sickness. This benefit is exclusive to the Sapphire Reserve. Providing reimbursement for a medical emergency and dental expenses up to a maximum of $2,500 that wouldn't be covered by your travel or health insurance. The treatment must be received while you are on a trip paid for, at least in part, using your account. If the treatment requires hospitalization, you will also be eligible for a daily benefit of $75.00 per day, for up to 5 days. 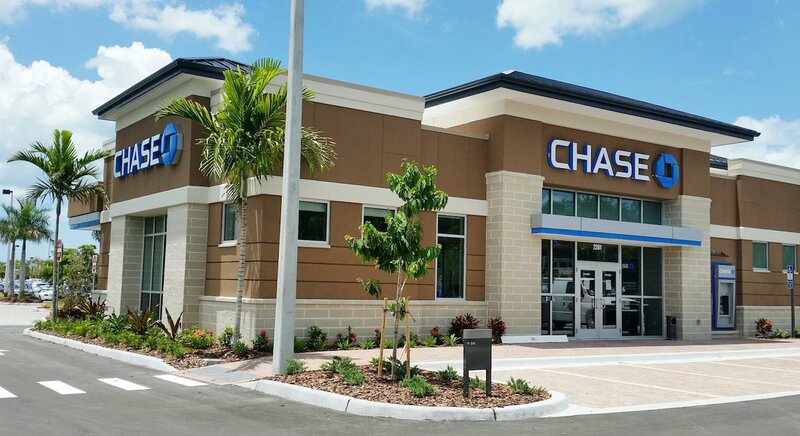 Chase also provide a travel assistance and referral line for cardholders and their immediate families, offering a broad range of emergency services 24 hours a day, 365 days a year. These services can be extremely helpful when overseas. Note: This line is just for advice and assistance, the account holder bears all costs. The last benefit on the guides is the Roadside Assistance benefit, while both cards have similar benefits, they are provided by separate providers with different contact numbers and different costs. Roadside emergencies can include such issues as a flat tire, dead battery or mechanical breakdown. Each event for Sapphire Preferred cardholders costs $59.95 per service call. While Sapphire Reserve cardholders are covered for up to $50 for each service event, up to four events per year. The list of benefits on these cards is exhaustive, and the volume and technicality of the information can often feel overwhelming for account holders. We highly recommend getting in touch with the Benefits Administrator before traveling to discuss any questions you may have regarding your coverage. Both the Sapphire Preferred and the Sapphire Reserve are brilliant travel cards and the unique benefits make them must have credit cards for travelers. 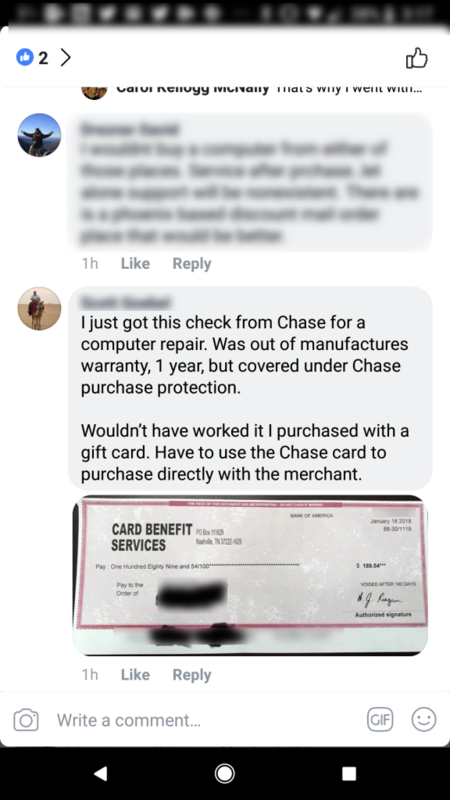 If you have any questions regarding what's covered in the Chase Benefit Guides, let us know in the comments. This card is an awesome addition to the Chase family of cards. Let me compare here the overall value difference between the Chase Sapphire Reserve (CSR) and Chase Sapphire Preferred (CSP). I will take my own spending analysis as an example. I am not a huge traveler, I travel once in a while with family or buy tickets to my parents to travel. I sat down to do the Math to see if it makes sense for me to apply for this card (I already have CSP card). Let me admit the fact that I also have Chase Freedom and Freedom Unlimited cards and my wife and I know which card to use when to earn maximum Ultimate Reward (UR) Points. Let’s look at my spending closely. The first thing I analyzed was my expenditure over the past 4 years (I referred to year-end summaries) and I found that I have consistently spent around $350 on “Transit” which included- Parking (street and occasional airport), E-Z Pass tolls, occasional river cruise, occasional Uber etc which I am sure will do every year. So this pattern of my spending qualifies for the $300 “Travel Credit”. This takes away around 65% of $450 annual fee that the CSR has. Needless to say that the person reading this is ready to use the UR points ONLY FOR travel. Then I looked at the UR Points that I earn from my Freedom and Freedom Unlimited card. In the worst case scenario every year I earn 175K from Freedom (We religiously use this card only for 5% cash back categories only and nothing else) and 220K from Unlimited card (I use it for all other expenditure other than Travel and Dining for which I used CSP). Now let’s do the same math with one of my favorites Chase Sapphire Preferred. If you do the math as above with 2 points earning per $ spent on travel and dining I would have earned 4600 UR points for dining outside and 700 UR points on travel. Let’s put everything together, which gives me $448 ( $220+ $175+ $46+ $7). 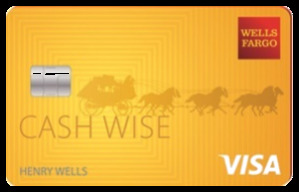 Now let’s redeem this for travel, remember Chase Sapphire Preferred gives is 1.2 times more value. So $448 X 1.2= $537. Now let’s look at the net value by taking away the annual fee of $95 which gives me $446. This card does not charge for authorized user. Conclusion: There is no question that Reserve card has superior benefits compared to Preferred. Here I conclude that for anyone like me who does not travel much at all and have Freedom and Freedom Unlimited cards (both earn UR Points) the overall net benefit is more with $450 annual fee CSR card when compared to lower fee CSP card (Please see the math above). Now guys! Do the Math and check if you could have CSR instead of CSP without spending even a $ more. Don’t be scared or discouraged by $450 annual fee. Of course needless to say that if you don’t travel much, you need to have both Freedom and Freedom Unlimited cards and know when to use which of these 3 cards. All you need is these 3 cards!! Howie, I need clarification regarding Global Entry / TSA pre-check $100 credit through the Reserve. Is it true that I should apply for Global Entry because it will include TSA pre? You got it. I’d never recommend getting TSA pre, unless you only travel domestically. Once you get Global Entry, you automatically get TSA Pre. It’s good to have a breakdown like this. I’m new to this. Got the CRC on 12/25 and already met the required spend to earn the 100k points. I’m a commuter who spends around 6k annually. Hubby drives to work so we use the CRC to earn x3 points. My question is this: we’re looking for companion cards where we can easily combine the points and redeem them for vacations twice a year. Can I apply for cards (maybe other chase cards) without hubby to get the points and then combine them or tansfar them into Hubby’s account to purchase air and hotel? Howie, We have NEXUS cards, which include Global Entry. Will our new CSR cards cover that renewal fee? Hi, I can’t figure out the trip insurance. They say its up to $10,000. But then they say they will cover up to 20k per incident. Are they then really saying 10K per person and you can put in a claim up to to 20k then? Yes, 10k/person, but coverage extends past just the cardmember — so if you have multiple eligible people on the same trip, the cap for the claim is $20k for that particular trip.